Mascara is my recent DIY thing! I’m not a regular make up girl. But a little bit of mascara sharpens the appearance, don’t you agree? As always, the store bought products are not only expensive, but contain really nasty chemicals that are not safe. So I prefer to make my own! How to make your own DIY mascara? 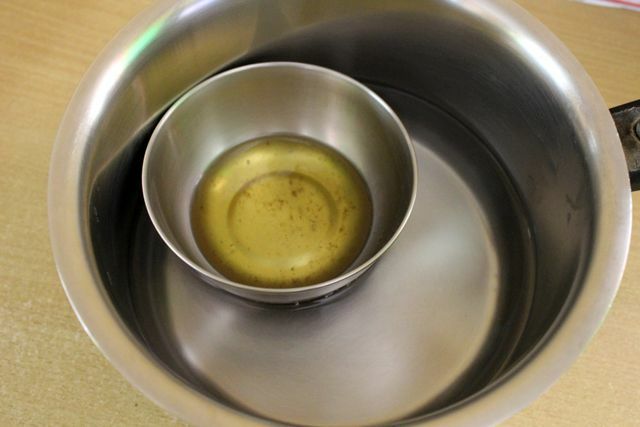 In a double boiler, melt shea butter, coconut oil and beeswax. Mix with a clean spoon so the three are well mixed. Now add the activated charcoal. Mix well so that there are no lumps and the whole of the mixture is black in a uniform manner. If you want to have brown mascara, just replace activated charcoal with cocoa powder. If you want a brown/black shade, add cocoa powder and activated charcoal in 2:1 ratio. If you want a plain/clear mascara just ignore the activated charcoal and proceed. Once everything is mixed well, take a plastic bag and pour the contents into it. The mixture should be just warm enough to touch, but not cool and set (otherwise it will be hard to transfer to the mascara bottle). Cut a small hole at an end. 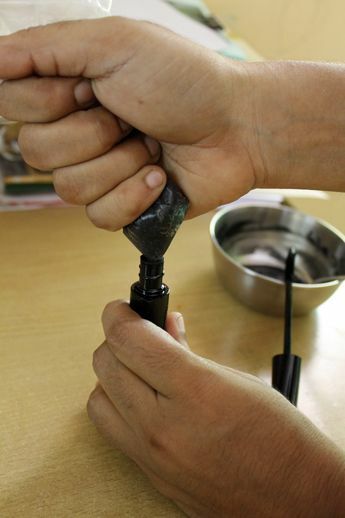 Pour into an empty mascara bottle or a bottle of your choice by using the plastic bag like a cake decorator. Activated charcoal is not an approved ingredient to use in cosmetics; if you are concerned, you can replace activated charcoal with (any color of your choice) mineral powder or mica. Coconut oil melts in warmer weather. If you live in a hot place (like me) coconut oil could melt and hence cause smudging. In that case, adding about 1/4 tsp of bentonite clay to this recipe will help prevent smudging. An alternate version to this recipe is to just add activated charcoal to one egg yolk and mix well. This version of mascara will last longer on your lashes, will not smudge, and dries without flaking. You need not worry about the smell of this mascara since you are not applying on your skin. But this will only last for a few weeks. After using, simply put the container in the fridge. You could add aloe vera gel to the original recipe. Adding a store bought gel will have preservatives. You could add fresh gel from the plant, but that will reduce the shelf life of mascara. Adding a few drops of lavender essential oil helps extend the shelf life of mascara. Any mascara (even the store bought ones) will develop bacteria, and hence should be cast away anywhere from 4-6 months of use. And, a final note – do not compare your homemade mascara to the store-bought ones. 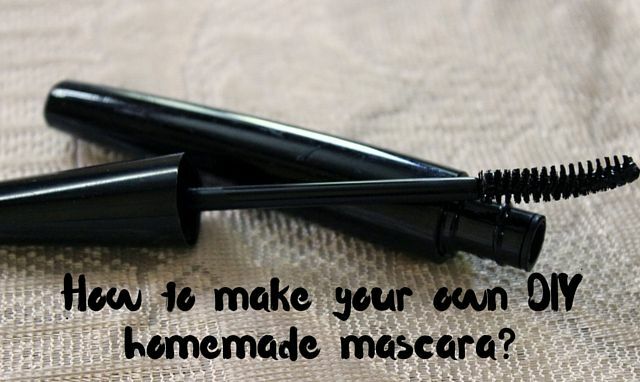 Unlike the store bought ones, the homemade mascara doesn’t have nasty chemicals. So you may not get the expected results. But you can be sure that you are using natural stuff on your lashes. Try out this homemade mascara recipe (also the variations as you prefer) and see how it works for you.